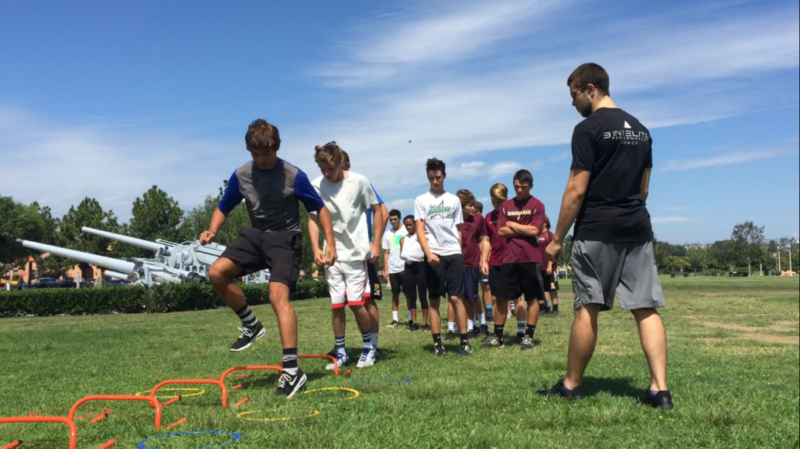 PLSC is excited to have 3 in 1 Elite spearhead our sports conditioning program. 3 in 1 optimizes athletic performance for high school, collegiate and professional athletes. They focus on the body’s adaptation to stress and how it affects performance. Their methods apply biomechanics and the latest science surrounding the nervous system to eliminate compensation and poor movement patterns unlocking potential and relative strength and speed. For a smaller investment, our Transform Your Performance program includes focus-based performance classes with like-minded athletes that want to improve their game at an affordable rate. We will isolate each significant component while incorporating visual and balance corrective techniques. This allows us to accommodate specialized goals in the most efficient way possible. One example is how our ballistic movements produce type IIx muscle fibers for explosiveness and visual training to produce greater stimulus for nervous system adaptation, while reducing overall stress and enhancing speed. In-season and off-season athletes welcome. 12 Week Transform Your Performance Program includes 3x/week Performance Coaching offered at different times throughout the day for your convenience. While other facilities train bigger, faster, stronger, 3in1 Sports Conditioning trains smarter not harder. Trust the science.